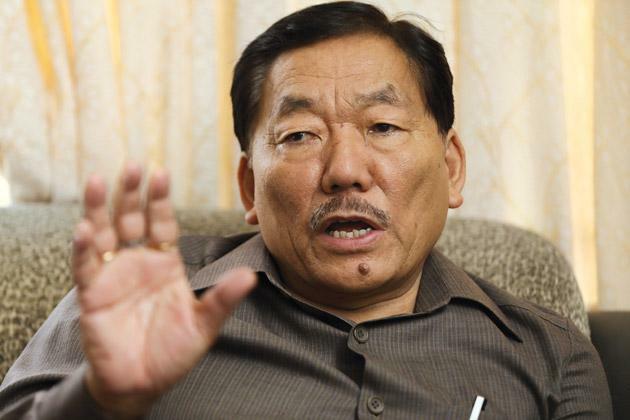 Facing a strong challenge from Opposition Sikkim Krantikari Morcha and the BJP in the upcoming panchayat polls, Sikkim Chief Minister Pawan Kumar Chamling has set out on a whirlwind tour of the state to mobilise support for the ruling Sikkim Democratic Front. Addressing a public meeting at Sribadam in West District today, Chamling said he has done his best to usher in development and provide welfare measures to the people during his 23 year-old chief ministership. "It is because of the SDF government's committed performance that Sikkim finds itself as the most peaceful and developed state in North-East Region," he said. The 67 year-old Chamling, who has been the SDF president since its inception in the early 1990s, took potshots at the BJP and the SKM without taking names. He said neither of the two parties have any plan for development of Sikkim, and urged people to repose their faith in the ruling SDF during the panchayat elections. Chamling had yesterday left for a week-long election tour during which he will address public meetings in the west, south and north districts before returning to the state capital on November 1. The polling for 500 gram panchayat and 84 zilla panchayat seats will be held on November 3.